Tutorial 2 offers some overview of drawing chest, neck and head as they would appear in a 3d space. No detail here. Early stages of the drawing is concerned with placement and angle of parts of the body. 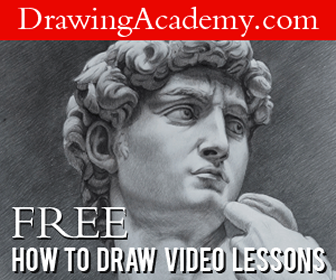 This tutorial introduces the early stages of drawing shoulders on a human figure. Shoulders are not fixed but can move almost as much as outer limbs. More about how shoulders are not fixed in place on the chest and how they move around. In tutorial 5 I discus drawing people in 3d perspective then take you threw the early stage of drawing a figure standing, seen from the front. This helped me get a bearing on proportions; thanks!